Big Brother is about to start and it has undergone a bit of a overhaul in preparation of the June 5th launch. 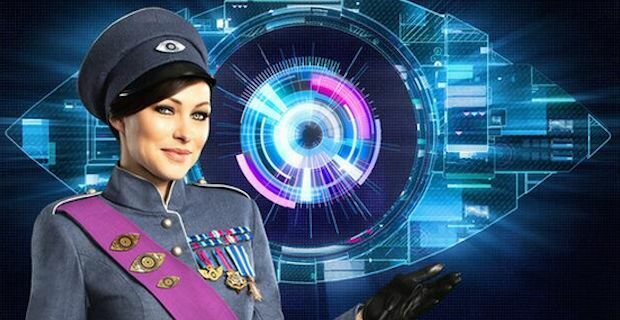 Hosted by Emma Willis, the show has a brand new eye logo that looks altogether more futuristic and appealing. The house itself also follows this new redesign and looks like something from a sci-fi movie set 20 years in the future. The opening night will run on Channel 5 between 9pm until midnight with an initial hour and a half opening followed by a 1 hour of sister show Bit on the Side hosted by Luisa Zissman and Rylan Clark. Then there will be an uninterrupted half an hour live from the house where anything can happen. This years show has been dubbed Power Trip which alludes to the theme the season will take on. Rumours are rife that the moniker alludes to viewers getting to have more control over events in the house. Viewers will be able to dictate what happens at certain junctures through voting which will definitely add to the challenges that the housemates will face. A spokesperson for the show said "This year, we wanted to really focus on what Big Brother is essentially about - power and control. We want to offer it to individuals, half the house, and even to the viewers.". As for contestants, Channel 5 chiefs have kept their cards very close to their chest. We do know that there will be 16 housemates ready to duke it out from the beginning to become Big Brother champion 2014. PHOTO GALLERY: Who is Josie Cunningham? One person that will definitely not be appearing on the show though, is Josie Cunningham despite the lengths she went to for a place on our screens. The Big Brother: Power Trip launch will be split over 2 nights and kicks off on Channel 5 on June 5th at 9pm and continues the following night at the same time.